Medical offices use televisions to entertain patients as they wait for treatment. While the trend of having TVs in waiting rooms started with cable/satellite, newer “custom” options have emerged that have the business and/or patients in mind. We’ve outlined 3 of the most used options below detailing how each impacts your patients and your bottom line. We’ve also created a “Waiting Room Pain Scale” based off of the medical pain scale that shows patient’s relative satisfaction with each option. Cable TV is still one of the most used TV services in medical environments. It has a focus on entertaining your patients but often misses the mark. Even with thousands of channels available, Cable makes you pick just one at any given time. If you only have one person at a time in your waiting room cable can work. When you have multiple people, sticking with a single channel just won’t satisfy everyone. In addition to having inadequate content to keep your patients happy, cable offers no way for you to promote yourself. When your patients are watching the TV screen you should be taking advantage of their attention. Your practice could be benefiting from having some information about you in front of them. Instead, Cable TV allows your medical competitors to reach into your waiting room and talk to your patients! Lastly, Cable TV is becoming increasingly expensive. It ranks as the most expensive out of the 3 services analyzed in this article. Medical Info TV has your medical industry focus in mind, but can often upset your patients instead of healing them. Many doctors falsely assume that patients want to see medical information while they wait to be treated. In fact, our focus groups have shown the exact opposite! Patients often come into a waiting room somewhat nervous, and seeing medical information can grow their anxiety instead of reducing it. 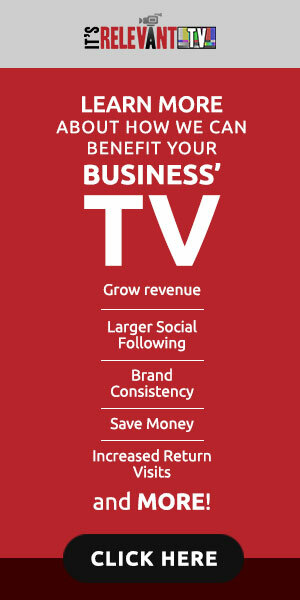 Medical Info TV providers often provide the practice with a way to promote itself or its brand. This is a nice feature, but many patients won’t be watching long enough to take in the information. Without some interesting content on the screen to draw them in, patients resort to using their phones or reading magazines. If they aren’t looking at the TV, the practice can’t benefit from the custom messages on it. Medical TV providers often offer their services “free of charge” to medical offices. As we know, nothing in this world is really “free”, but the cost can be tough to see at first glance. These organizations are usually backed by large Pharmaceutical companies and Medical TV providers are looking out for their best interest, not yours. Why is big Pharma involved? Our research found that the majority of patients that saw drug ads on the waiting room TV assumed the drugs were endorsed by the doctor/practice when that wasn’t always the case. This helps to generate enormous revenues for both the Pharmaceutical companies and the Medical TV providers. But it doesn’t do anything for your bottom line. It’s Relevant TV achieves a great balance between entertaining your patients and informing them about your practice. By bringing in a selective set of short-form TV programs the customized broadcasts are better tailored to your patients and offer variety within a short period of time. Even if a patient doesn’t enjoy a particular program it’s over quick and a program of an entirely different type appears next. This creates more opportunities to get your patients engaged with the TV. Once your patients are engaged, It’s Relevant TV provides a suite of easy-to-use promotional tools to get your messages across. These include “ads” that rotate automatically and display next to the TV programming, real-time social media updates from your Facebook, Twitter and Instagram Accounts, and your own videos that can play between TV programs. It’s Relevant TV is available for a modest subscription fee and provides medical offices with Competitive Ad Block® and Pharma Ad Block™, blocking out all advertisements from competitors and pharmaceutical companies. This keeps the focus on your practice. The content is customizable and does not loop. New programs are delivered automatically throughout the day. Hospitals, Urgent Care Centers, Medical Offices, Doctors and Dentists put TVs in their waiting rooms in hopes of creating a better environment for their patients. While television is not the primary focus of your practice, it can really shape the attitudes of your patients. From the time patients walk in until the time they leave, they are judging your office. And when they go home they can place a positive or negative review online that can have a real effect on attracting new patients in the future. Taking simple steps like incorporating a custom TV system that focuses on their needs can truly help you. Previous Previous post: Change can be Hard. But It’s Worth it for Your Business.